The “Mapping Inequality: Redlining in New Deal America” is a big cultural data project based on the HOLC collection. In the 1930s, the Home Owners’ Loan Corporation (HOLC) federal agency was established in the US in response to the mortgage crisis of the Great Depression. In addition to granting loans and introducing standard lending practices, the HOLC also made assessments of major cities and urban areas around the country to determine safe and risky investment areas. HOLC created neighborhood-by-neighborhood maps and accompanying area descriptions describing threats to the “security” of a particular area. The maps categorized specific areas in cities according to four color-coded categories based on racial, ethnic, and economic characteristics of residents and potential home buyers: green for the best areas, followed by blue, yellow (for areas in risk of decline), and red areas for the least desirable areas. Neighborhoods were graded based on the presence or absence of ethic and racial groups, relief and low-income families, and environmental problems, to name a few. 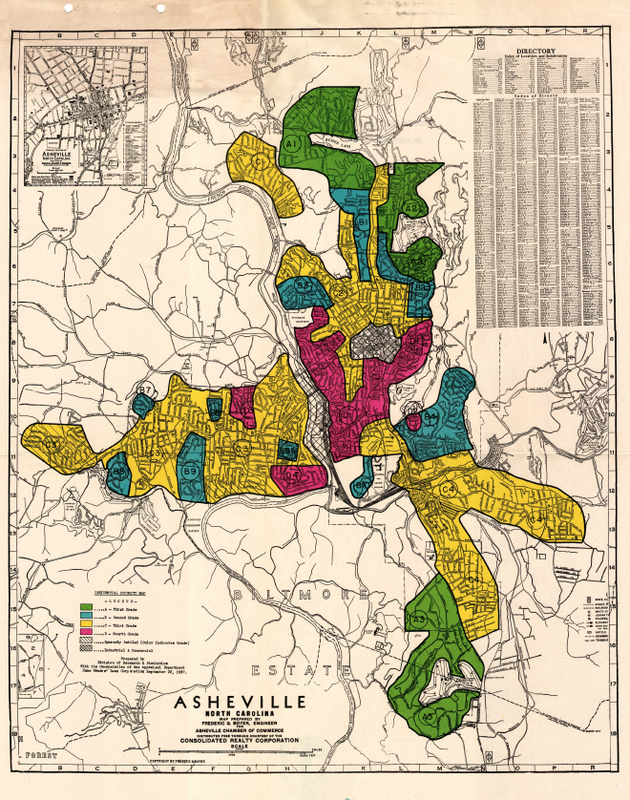 A partnership has been formed to build a national redlining collection. We plan to digitize the entire HOLC collection of maps and area descriptions, housed at The National Archives at College Park, MD (“Archives II”) — georeferencing and vectorizing maps at scale, improving optical character recognition (OCR), and devising approaches to harvesting the content from the area description forms. Nathan Connolly, Assistant Professor of History @ Johns Hopkins U.